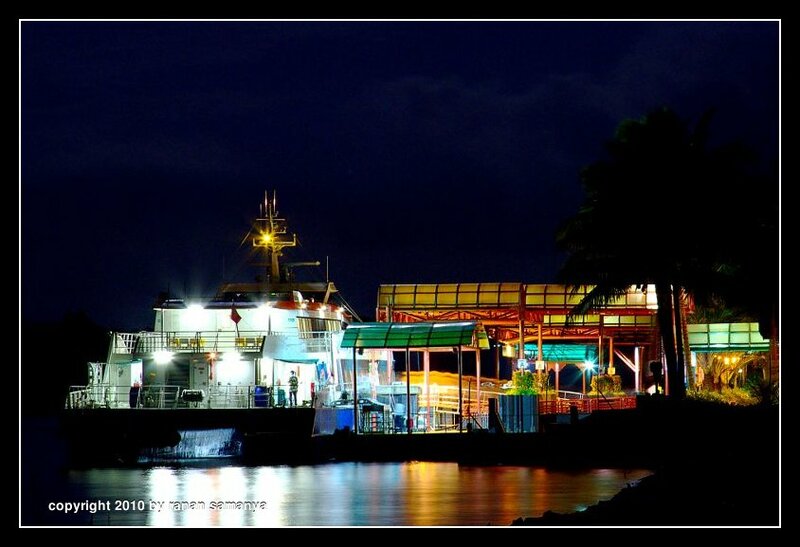 Last ferry from Bintan Resorts ferry terminal is getting ready to go back to Singapore. Bintan Resorts is operating it’s own ferry service to Tanah Merah Ferry Terminal in Singapore 5 times daily; 6 times every Friday and 7 times during weekends, holiday and peak periods! I switched off autofocus and IS, and did a manual metering. The electronic level of 7D came in handy in leveling on my tripod with only 1 degree of error. The starburst effect is a result of using small aperture (should have tried even smaller ones!). As usual, click on the image to get a higher resolution one.